Moscow-Volgograd round trip on new and clean 737 & Airbus 330 planes. Check-in and inflight service was excellent in spite of our very limited Russian skills. Good inflight meals at no charge. We had switched our overseas flight from Aeroflot to Delta because of poor Aeroflot reviews (should not have done that). 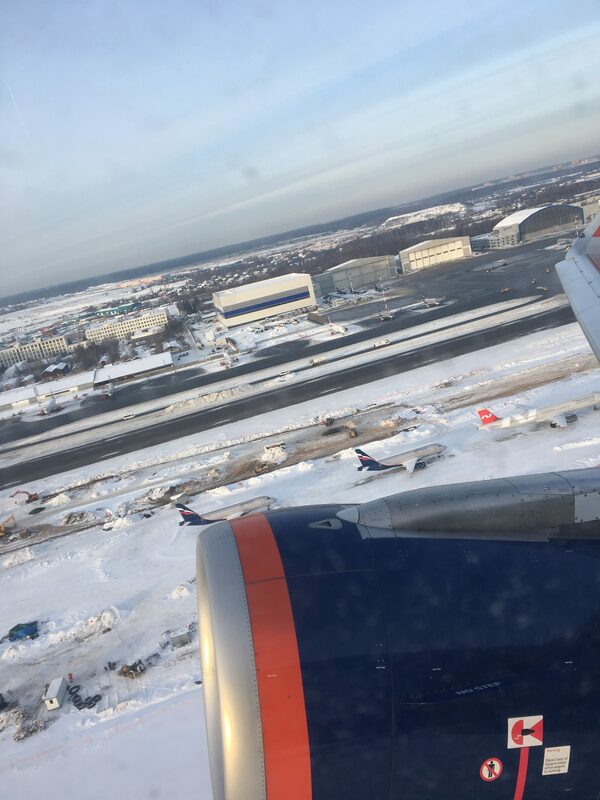 The return Moscow-JFK Delta flight was 3 hrs late causing many on the plane to miss connections at JFK while two Aeroflot planes left on time and made their connections. SVO terminal was beautifully clean modern and bilingual with efficient service in stark contrast to the poor arrival image given by JFK. Omsk-Moscow-St Petersburg. Small problems with check-in at Omsk and only received one boarding pass. Breakfast was good and the service leisurely for a 3 hrs plus flight. Plane was full and the flight left and landed on time. Was surprised that they had an English language paper on board. This is an improvement on previous internal flights. Moscow-St Petersburg is a short 80 min flight and received a quick and light second breakfast which was just adequate for this flight. Again the flight left and landed on time. SVO-BKK in Business Class and was quite surprised. Flight attendants are 40+ ladies but cool and friendly food was very good even though it was a low calorie pre-order meal. The plane was without individual IFE but we received portable movie players with a decent selection. Overall on-board experience was great while airport experience was so-so. 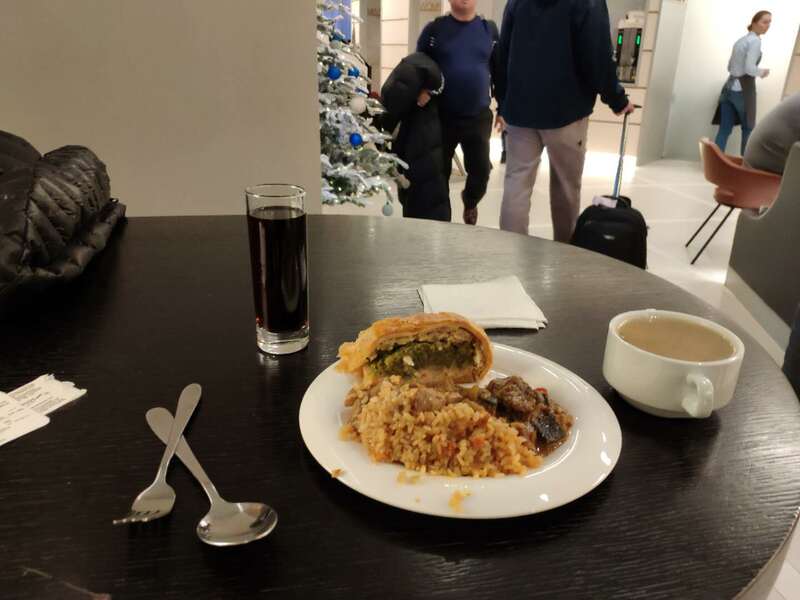 Business lounge at Sheremetyevo airport was awful with plastic forks almost no food available no A/C. Aeroflot Business Class is a very good value for money. New York-Moscow to Delhi return. On our way to Moscow we found the flight attendants to be rude and unhelpful (and of course not smiling). During the 7 hr layover we became concerned about the mere 1 hr layover on our return trip. It sounded good when we booked it but realizing that we would have to run through security and the length of the airport to get to our flight we didn't think it would be possible. We stopped to ask a woman behind a customer service desk and she said "yes not enough time" waved her hand at us and we were dismissed. Getting onto the plane to Delhi we realized our seats were not together. We once again tried to get an answer and was ignored. Very unhelpful and rude. For the return flight we had to change flights in the office in Delhi. Come to find out that there was another flight out of Moscow with a 3 hour layover. We switched to that flight. The office workers in Delhi were also cold and rude. As it turns out by the time we landed from Delhi in Moscow and got to the terminal to fly out that 1 hour layover flight had already left. We would have been stranded in Moscow for who know how long because nobody would have acknowledged our existence let alone get us onto a flight. Oh and did I mention I had ordered veg. meals? On the way to Delhi I did receive delicious meals on the return flights no such luck. I had bread. FRA-SVO-OVB. New and spotless A320 plane. Comfortable seats and decent food on both legs. Colleagues had warned me about SVO but found Terminal D in SVO to be first class: very efficient good signage good services. Both planes late by 30 mins but that's about the only negative thing I can say. All in all a good value for money. SVO-HKG (return) in April 2011. I decided to take this trip because Aeroflot recently replaced old fleet on this route with new Airbus A330 and because ticket was quite cheap. The plane is really good food and service are good too. On both legs boarding was efficient and flights arrived on time. 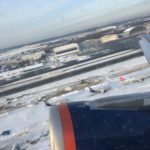 The drawback is departing from old terminal F while most Aeroflot flights depart from new terminal D. Check-in and security are much easier in D.
I use Aeroflot pretty often on my flights from Los Angeles to Moscow and domestic flights to Russian Far East. Food is great new A330-200 entertainment systems are very good with a big choice of movies. I am loyal to SkyTeam and was forced to used Delta a few times on my journeys to Russian. I realize that Aeroflot staff do not smile always but other things compensate for it. I'd rather not be hungry and bored with okay staff then be hungry and bored onboard of Delta planes. Moscow SVO-Astrakhan ASF-Moscow SVO outward by Aeroflot inward by Nordavia. Access to SVO is tiresome but airport is first class : easy clean and helpful. Both flights on time. Aeroflot a new Airbus Nordavia an old 737. Pilot information good cabin service impeccable light food dull but adequate. Hamburg to Tashkent via Moscow and not impressed with Aeroflot. Plane interior was old and not very clean. Entertainment not existing on both flights. Inflight magazine only in Russian. 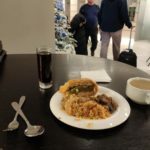 Food was tasteless and choice of drinks is very limited (one drink on 3-4 hour flight and only choice between orange and tomato-juice and Cola or sprite. No alcoholic drinks served or sold. All in all a very disappointing experience! The service at SVO airport is horrible. I flew to Copenhagen by SAS flight 8700 operated by Aeroflot. The agent wanted to charge me for the excess baggage. I tried to explain to her that on a code sharing flights I am governed by the rules of SAS not by Aeroflot rules. But she did not want to listen repeating again and again that she knew the rules. Eventually after a long verbal exchange she called the authorities and found out that I was right. In the Aeroflot lounge - which I was entitled to use in lieu of SAS lounge - the employee on duty refused to let me in. She sent me to the other end of the airport where the people sent me to another lounge and each refused to let me in. The employees of the Aeroflot as it turned out did not know their own airport: they did not know any telephones to call nor they had any directories at and they did not know even the telephone of their own lounges in different part of the airport nor were they able to provide any reasonable assistance. Eventually at my insistence one of the supervisors after calling around for 10-15 minutes found out that I was indeed eligible to get into the very first lounge. The same girl who did not allow me in eventually had to call and find out that she was wrong. She never apologized. In fact all the personnel there turned out to be so rude and incompetent.